A truly amazing, million-dollar LED light display awaits riders on the special Gatlinburg Winter Magic Trolley Ride of Lights. These heated trolleys will be offering nightly rides around downtown Gatlinburg to see the holiday lights through the end of January at 6:30, 7:30 and 8:30 p.m. Tickets are $5 per person, and children under age 3 may ride for free on a parent’s lap. Come celebrate the promise of a brand new year at the annual Gatlinburg Ball Drop and Fireworks Show. At the midnight hour on Dec. 31, those in attendance can expect the ball to drop and an amazing display of fireworks to erupt from the top of the 400-foot tall Gatlinburg Space Needle. Special music will be choreographed to accompany the fireworks, and rhythmic LED lights have been added to the tower to enhance the display. Come early for the live musical entertainment that will begin at 10 p.m., and you may also want to come out in time to enjoy the many New Year’s Eve specials that can be found at area restaurants. The Island in Pigeon Forge is also planning a huge celebration to ring in the new year on Dec. 31. This family-friendly, free event will begin at 8 p.m. with excellent live musical entertainment and tons of activities. You’ll find interactive games, face-painting booths, and lots of good food and drinks available. Midnight will close out the event with a huge fireworks display. Be sure to come early, because this is one of the most popular things to do in the Smoky Mountains in winter! Ober Gatlinburg offers family fun all year round, but it provides some truly special activities exclusively in the winter months. Between mid-December and mid-March, you’ll have the opportunity to hit the slopes for some amazing skiing, snowboarding, and snow tubing. Lessons are even available if it’s your first time. You can also enjoy a wonderful ride on the thrilling Ski Mountain Coaster and the aerial tramway that offers stunning views of the Great Smoky Mountains. From early November through early January, Dollywood is transformed into a magical winter wonderland as part of the annual Smoky Mountain Christmas Festival. During the holiday season, the theme park is decked out with 4 million sparkling Christmas lights and other beautiful decorations. Other highlights of the festival include a Parade of Many Colors every night, appearances by Rudolph the Red-Nosed Reindeer and his friends from the beloved TV special, and a variety of Christmas-themed shows. You’ll need a great cabin to enjoy when you aren’t busy with all of these wonderful things to do in the Smoky Mountains in winter. Here at Heritage Cabin Rentals, we have the perfect luxury cabin for your winter stay. 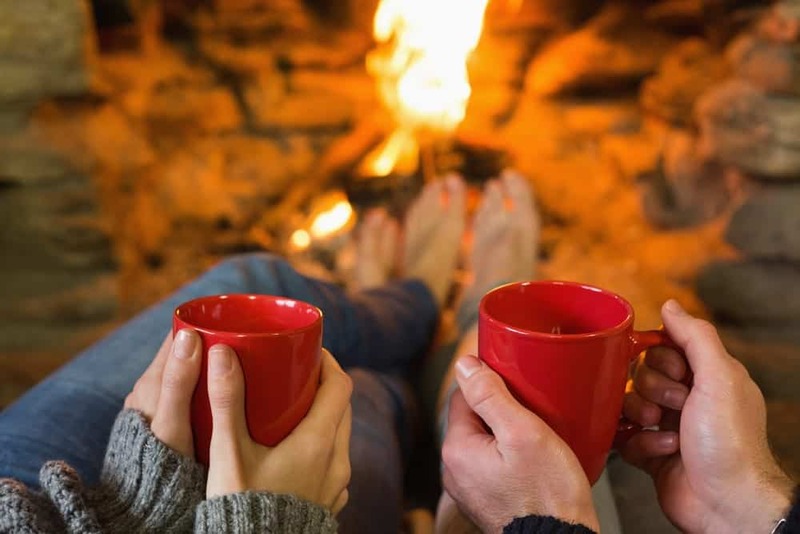 We have cozy, 1 bedroom cabins with a hot tub and a fireplace to cuddle in front of for those looking for romance, and we also have 5 bedroom cabins with a great game room for those looking for a family vacation. Browse our complete selection of Smoky Mountain cabin rentals to start planning your winter vacation!